PC-Navigo can be connected to a GPS receiver, that can provide the exact position of the ship. This makes it possible to show the ship on the chart . It also allows all kinds of calculations on the remaining part of the voyage (such as the comparison with the original planning and possible modifications of the journey). Every standardised GPS is suitable: a “handheld” GPS may be connected by means of a cable. Often, however, the price of such a connector is higher than a so called GPS mouse which costs 65 or 75 euros. 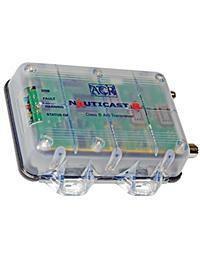 PC-Navigo comes equipped with the ability to handle the signals of an AIS transponder. This permits to show other ships in the charts too. The ever denser AIS equipment on commercial vessels makes it possible to see the position of these ships long in advance. Each AIS transponder comes equipped with a GPS antenne. This may be used in PC-Navigo for displaying the position. 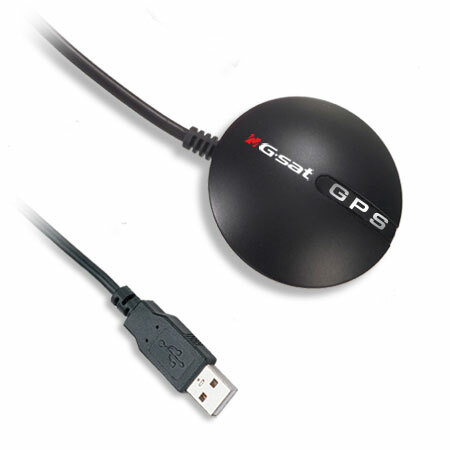 This means an external separate GPS-mouse is no longer required. There are different classes of AIS. For most leisure-craft an AIS type B, for instance our Nauticast B2 AIS, suffices. On many inland waters large vessels (>20m) have to be equipped with AIS type A. If you are interested in acquiring an AIS type A you can contact our dealers.